Every divorce needs to be treated differently due to the individual circumstances in each case. However, there are some common elements that will typically need to be taken care of during the divorce process, including child custody, division of assets, and spousal maintenance (alimony). Maintenance consists of financial support that one spouse pays to the other to make sure they are able to support themselves after the divorce. If you are close to retirement age and are considering initiating divorce proceedings, you may be wondering what will happen if you are ordered to pay maintenance and decide to retire soon after. If you decide to retire and are still paying maintenance to your ex-spouse, there are a few different outcomes that could occur. Illinois law states that you may be able to receive a reduction or stoppage of your maintenance obligation if you are able to show that you have had a “substantial change in circumstances” making you unable to pay the maintenance. The decision to retire is often not enough for a judge to order a complete termination of maintenance payments, but it may be enough for a reduction of the amount of payments. The decision will depend on how severe the reduction in the payer’s income is after retirement. 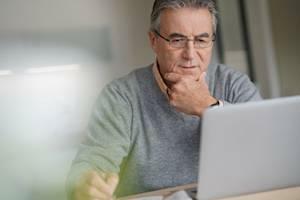 Retirement is not the only factor that a judge will look at to determine if the maintenance payments should be changed, but it does fall under the “substantial change in circumstances” umbrella. Termination of maintenance is usually only granted if the person being paid gets married again or if the retirement of the payor reduces their income to the point where any payments towards maintenance would cause them to fall under the poverty line. Usually, a change such as reduction or termination is not granted immediately. Instead, the payments may be reduced for a year, and then reduced further during another period of time, after which they may stop. This method lets everyone plan for the changes in income ahead of time and make the arrangements necessary to ensure that their ongoing needs will be met. 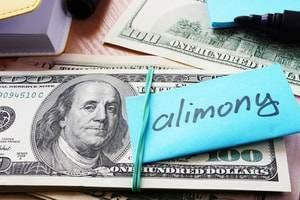 While alimony awards during divorce are less frequent than they once were, there are times that it is still warranted. The following information explains how you can determine if you might be entitled to support (or required to pay it). You shall also learn how support is calculated during an Illinois divorce, and why legal assistance is recommended for those dealing with alimony issues. 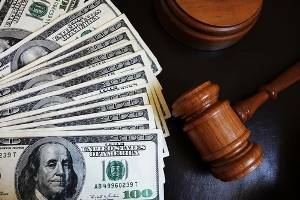 Many situations may lead to a ruling for alimony, but most share a common thread: one spouse is financially disadvantaged. This disadvantage could be caused by a lack of education, job experience, training, health issues, or an extended period outside of the workforce. It can also mean more than an inability to support one’s self; it might also apply if one party has become accustomed to a particular lifestyle during the marriage but is unable to maintain it on their own. The latter is typically seen in high net worth divorces, but the former may occur during any divorce case.